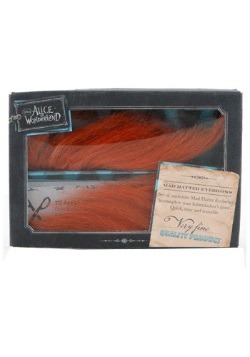 We are firm believers in the virtue of eccentricity. Being normal is way, way overrated. 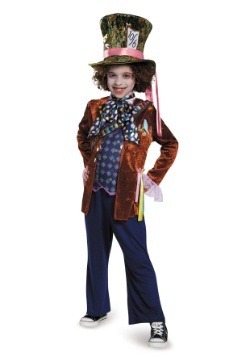 So, if your child sometimes acts a little nutty, we'd encourage you to embrace it! There's no shame in venturing off the beaten path, so to speak. Wouldn't the world be a boring place if we all acted normal? What if we all stuck to the script? If we stuck with talking about the forecast, the primetime TV line-up, and traffic, we'd probably all go mad as a hatter. Wouldn't you? Whether your child would like to invite a mouse and a hare or, if she's a little less mad than the hatter himself, she might want to have some human friends over for some Earl Grey. 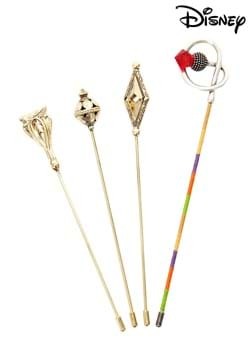 She might need these digs to look the part. 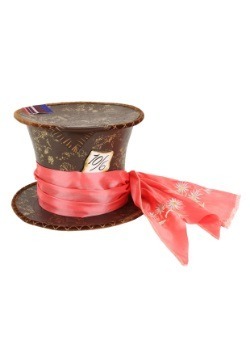 The top hat and over-sized bow tie is instantly recognizable as the legendary Alice in Wonderland character. 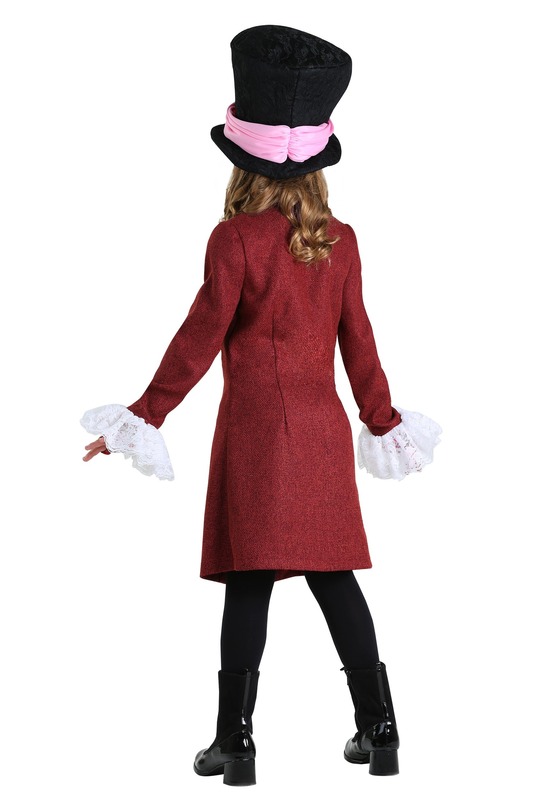 The tweed weave coat with lace bell sleeves gives the Hatter look a sleek look so after it's worn as a costume you might notice your child slipping it on in to simply gallivant around, this rich colored coat might as well get as much use as possible. 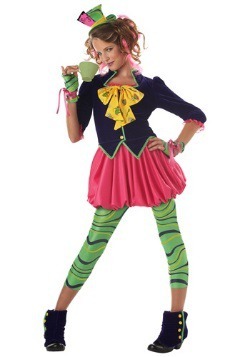 A little Wonderland in real life never hurt anyone, especially in our Child Mad Hatter Costume. 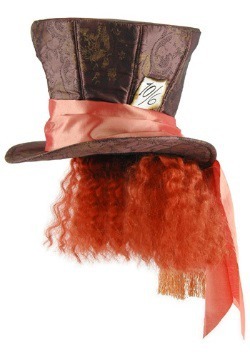 We like the Mad Hatter for many reasons: his interesting questions, his forwardness, and of course his unique sense of style. 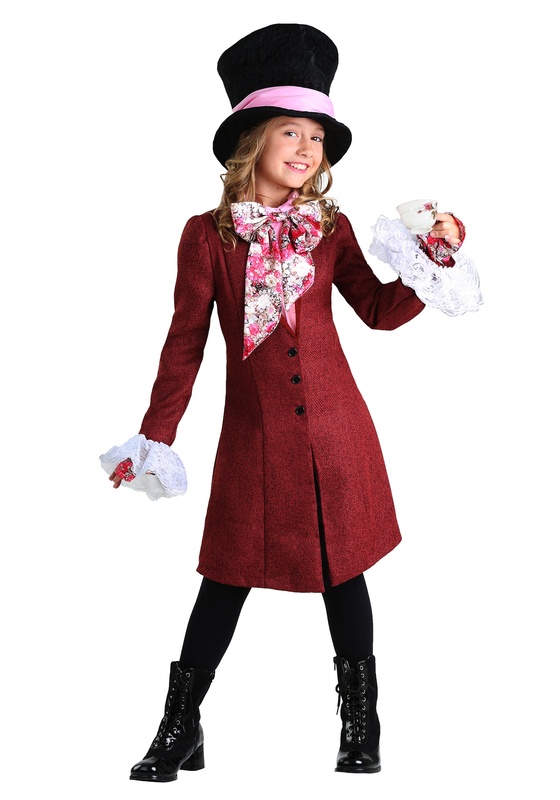 For instance we all like his classic question, "Why is a raven like a writing desk?". Have you ever figured it out? We certainly haven't. Perhaps that’s because there is simply no answer to the question. Just goes to show how logical the Hatter's sense of illogic is, he asks riddles that have no answer because most true riddles have much more than one interpretation that someone could respond with. This is the type of eccentric thinking that should be championed! 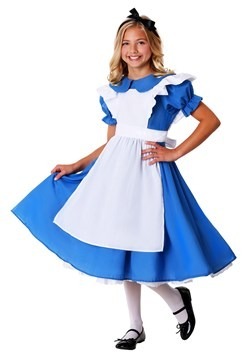 If your kiddo inspired by this radical hat maker then we have the perfect outfit for their next tea party. Small - $44.99 Medium - $44.99 Only 3 left!